Home / Blog / Running Behind Schedule in Your Dental Office? Here’s How to Fix it! Running Behind Schedule in Your Dental Office? Here’s How to Fix it! 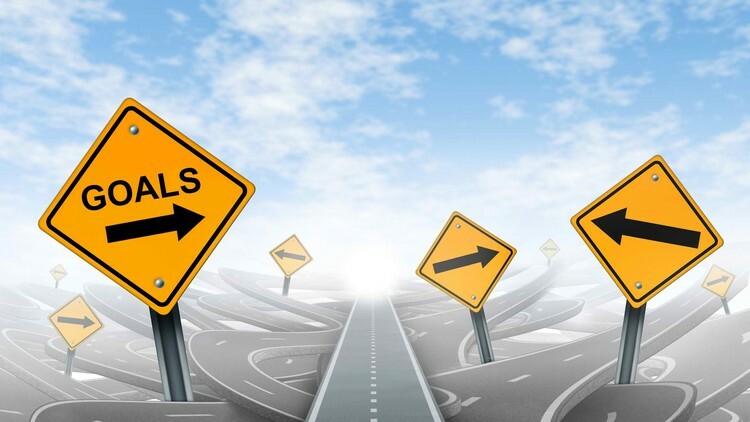 From a business perspective, how big of a “deal” is it to run behind schedule? I’ve seen some doctors become so accustomed to running behind that, after a while, it seems like a normal part of doing business. One of the courses we offer on our online training platform, DDS Success, actually covers everything about the schedule and how to get it back on track. Click here to check it out. But to answer your question, it’s actually a major problem from a business perspective. Not only does it wreak havoc on your production and make your daily and weekly numbers unpredictable—it gives a terrible impression to your patients. People hate waiting –`they become irrational about it. If you want proof, just ask somebody how much they like going to the DMV. When a patient has to wait, you lower your odds of seeing them again – and kill potential referrals. Running on time is also one of the most important aspects of (good) customer service. It’s truly one of those little things that goes a long way in your practice. Now, that said, you will run behind at some point. As long as this is not a habit, and you can recognize (and handle) why, you should be fine. What about, however, an office that is running behind regularly? What’s the best way to go about repairing this? Poor control in the back. If your problem is scheduling, this might be due to the front desk having inaccurate (or no) set times for various procedures. This would be a very simple fix. 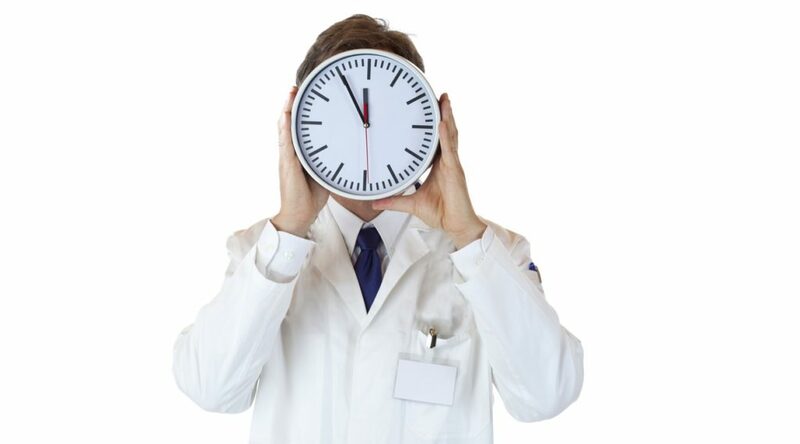 As a temporary solution until you have a system worked out, the assistant should just let the scheduler know (verbally or written on a slip of paper) how much time to schedule for each appointment as the patient checks out (e.g., “next visit, crown, one hour”). Meanwhile, write policy for exactly how much time is needed for each procedure. Some offices use a card system with the times noted down for each procedure, so the scheduler can quickly pull out the card and see how much time to schedule a patient for. Or if your practice software allows it, you may be able to enter the times into the software so it automatically allocates the correct amount of time for each procedure. If this information is already available and is correct but the scheduler is still designing the schedule in a way that can’t be run on-time, they would need to be corrected or better trained. Oftentimes I find that front desk staff lack an understanding of what actually goes on in the back (and vice-versa), and can’t visualize what happens when they schedule patients for certain procedures. It may be a good idea to have the scheduler work in the back for a few days. They can assist with simple tasks (like suction) or helping turn over rooms. It helps them see what actually goes on and they get a better idea of why things need to be scheduled a certain way and how everything actually unfolds. objections and getting them scheduled for the desired time slot. If all of these things have been done, but the scheduler seems to be willfully violating scheduling policy or designing the schedule in an impractical way, you’d need to bring them in for a formal review and issue a written reprimand. If the problem continues, you may need a different scheduler. 1. The scheduling policy in the office does not take into account that the doctor has to do hygiene checks and treatment presentations. Again, there’s a simple fix: lengthen the procedure time on the doc’s schedule to take into account the time that the doctor spends speaking to hygiene patients. 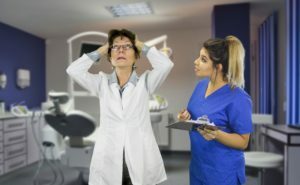 If the doctor is spending an inordinate amount of time with hygiene patients explaining needed treatment, then either a) the hygienist needs to be trained on how to better educate patients, pending the doctor’s diagnosis, or b) the patient should be called back in for a consultation appointment. Patients need to understand their treatment plan in order to facilitate case acceptance, and we can’t skimp on that. It takes time. So don’t try to cram it in right then if there’s not enough time on the schedule. Schedule a consult when you have enough time to really explain everything and address the patient’s concerns. 2. The other possibility is that the doctor just isn’t running on schedule. You (the doctor) are taking more time than allocated for a procedure(s). Again, that may happen due to unforeseen circumstances time to time. But what we’re talking about here is you’ve allocated 40 minutes for a single crown prep (including anesthesia) and you’re taking an hour most times. In this scenario, if you need or want to have that much time, you must lengthen your procedure times. There’s also the possibility that it’s not the clinical procedure, but the doctor him or herself that is causing the office to run behind – i.e. talking about fishing for 15 minutes with a patient, checking stock quotes between patients, etc. Well, by all means be friendly with patients and communicate – just don’t unnecessarily make other patients wait! Usually it’s the assistant’s job to make sure that the procedures stay on schedule. So give your assistant the power to move you along or cut you off so you can move on to the next patient or procedure. I’m Already Behind Schedule Today—What Do I Do? Of course every now and then unexpected things happen that throw you behind schedule (such as an unexpected root canal, a procedure not going smoothly, etc.). Those things are understood, but the most important point is: you can’t just have people sit and wait. The assistant needs to coordinate with the front desk in those instances so that the front desk can call the patients on the schedule and adjust their scheduled times accordingly, or at least give them a heads up that the office is running behind. Some offices have gift cards to restaurants or stores for this eventuality, so at least they could apologize if the patient had to wait and give them a gift card. If you have unexpected emergency appointments throwing the schedule off in your office, you need to plan a bit better for emergencies. Time should be built into the schedule to accommodate emergency patients as they happen. You can do a review of when you tend to receive emergencies the most (for instance, Mondays are often more prone than other days), and plan accordingly. And then in your morning huddle, the schedule should be looked at and the best time for emergencies should be discussed so the front desk knows where to slide them in if needed. Those tips should help you get back on-time. There is a lot more to the subject of running the schedule, though. In fact, we have a whole seminar about it, The Art of Scheduling Productively, which you can purchase on DVD. You can buy it here. I highly recommend it!